Good Morning! I am busy getting ready for work but I thought I would take a minute or two to pop in and post a masculine card that I made this week. I love making masculine cards, I find them such a challenge and when I finish one that I actually like, I really feel like I have accomplished something! Have a look…. 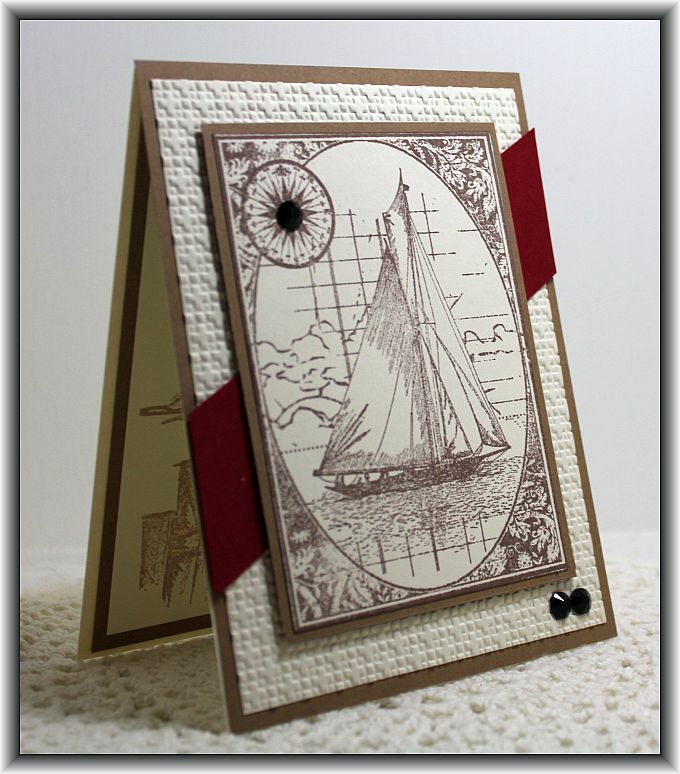 The stamp I used for the front is by Impression Obsession, Inc – H13022 Sail Collage and the inside stamp (A seagull sitting on a wooden post, you can just see part of it, sorry I didn’t snap a picture of the inside) is by Inkadinkado # 99205. 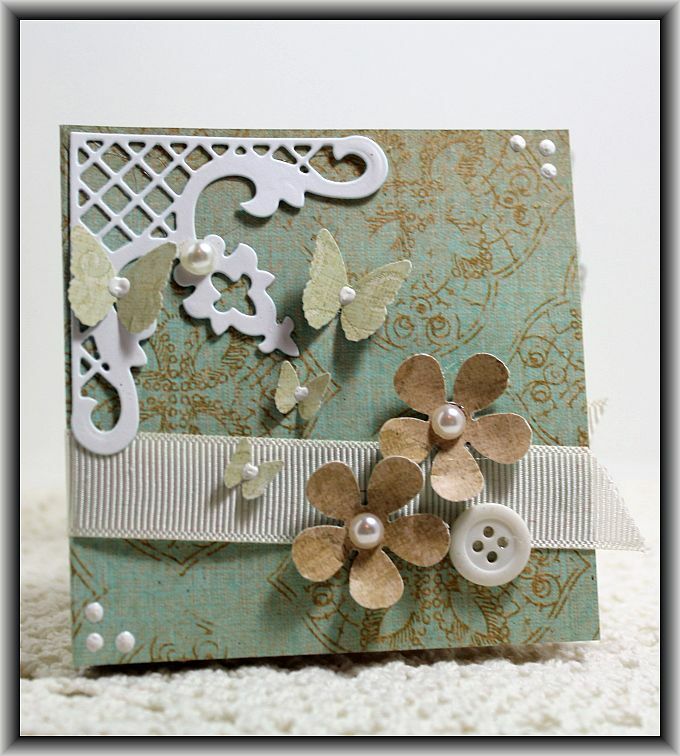 I used a layout that I found on pintrest and put this card together quickly and easily. I am off to work again today, we are in for some dirty weather today, rain and freezing rain and then we are getting a dumping so snow tomorrow if the predictions are right. Ugh! Oh well, we must make the best of it right? I hope you all have a great day and thanks for stopping by!! Good Morning! 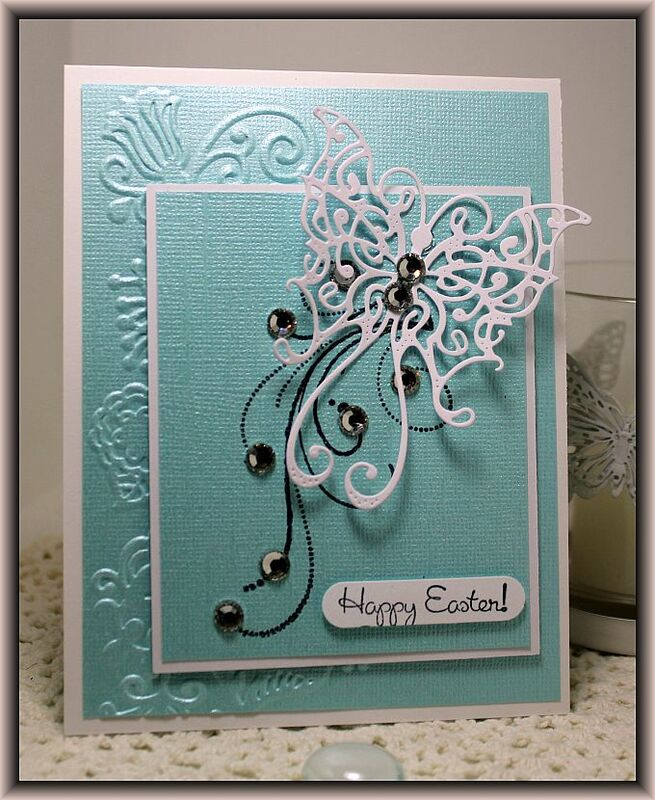 I am here with another attempt at making Easter cards with no Easter stamps! Oh well… Pretty colored paper and butterflies are just going to have to do! LOL!! 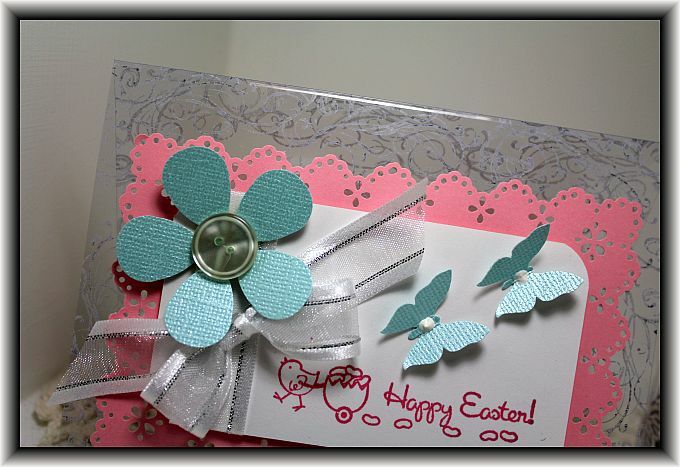 I used my pretty Cheery Lynn butterfly die and an embossing folder from the Sizzix Floral Vine set that I picked up at The Cutting Garden. I hope this passes as an Easter card…. I feel like I am scraping the bottom of the barrel with this one! LOL! I hope you all have a great day and thanks for stopping by! It’s off to work for me! 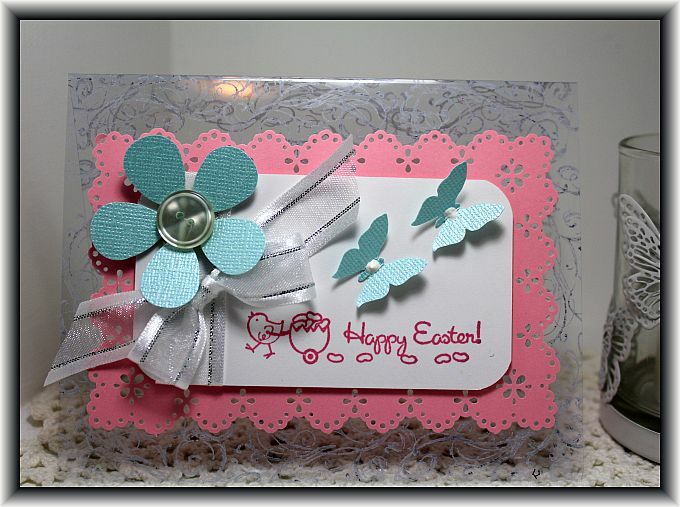 I have discovered it’s really hard to make Easter cards when you don’t have any Easter stamps! Go figure huh? Oh well… I made do with what I had! 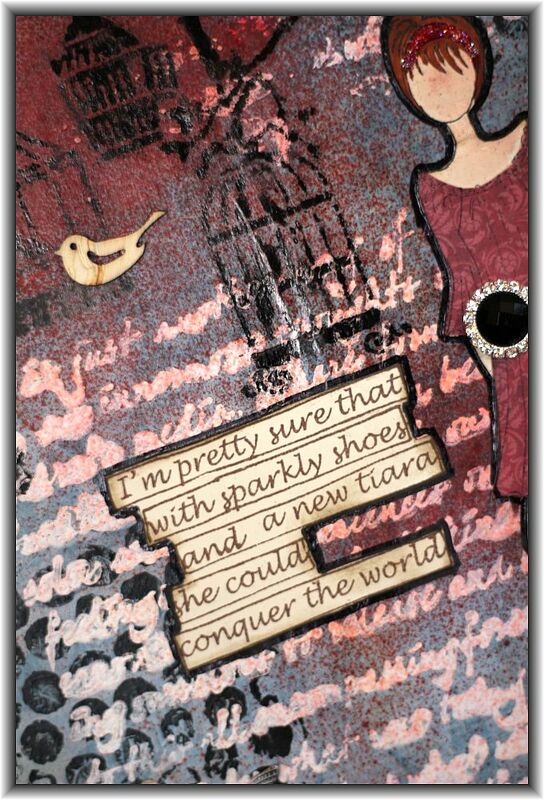 I had some acetate kicking around my craft room for ages now and I decided to use some of it up. The ladies from work have been asking me to make some Easter cards for them. I used Stazon Opaque Cotton White and just randomly stamped a flourish along the outside of the acetate and then decorated the front using the Martha Stewart Eyelet Lace Punch around the page punch set. The sentiment stamp is just a simple $1.50 stamp I picked up at Michaels and the Retro Flower punch and Martha Stewart butterfly punch came from The Cutting Garden. All in all I think this turned out really quite nice! In real life the card looks very dainty and soft. I love it!! I hope you have a fantastic Tuesday and thanks so much for stopping by! Hey there blog friends! I am having a great weekend! I spent yesterday home with a few of my crafty friends creating up a storm. We made a few pretty cards and I will post them a little later. 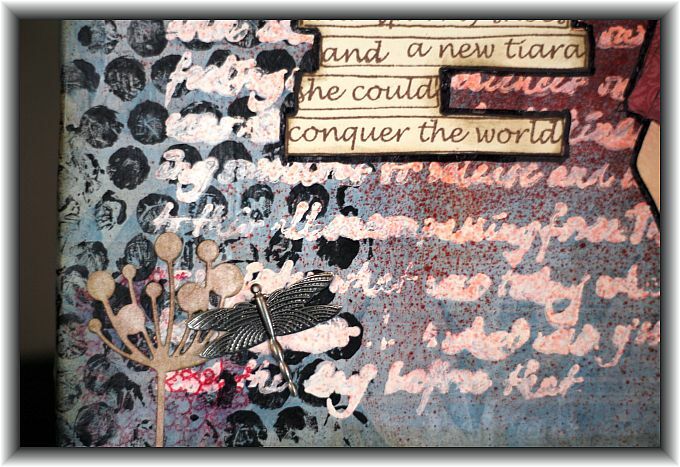 I have been in my craft room today making another mixed media project. I love the fact that there are no rules with this form of crafting, you can just do what ever you want! I think it’s the randomness that really appeals to me. Okay so here is what I created…. 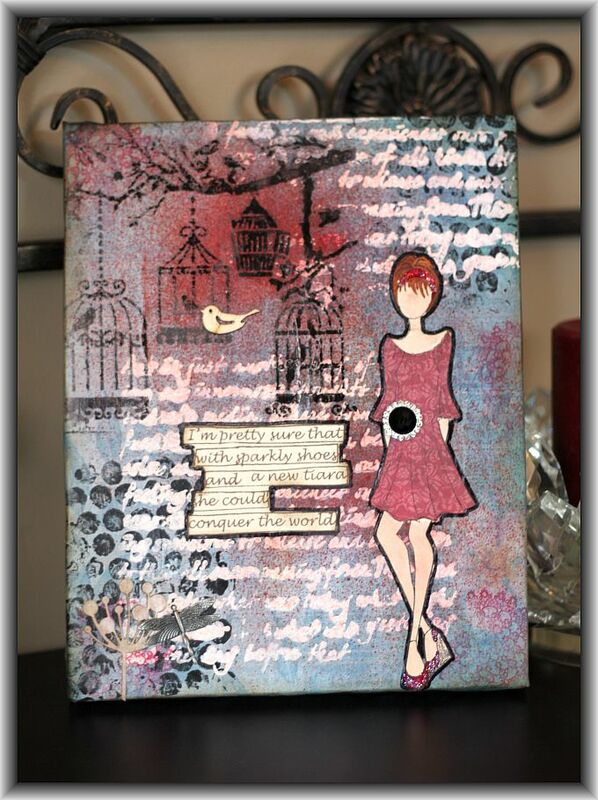 The sentiment stamp is by Dylusions… and the image is by Prima, Julie Nutting Mixed Media doll stamp. 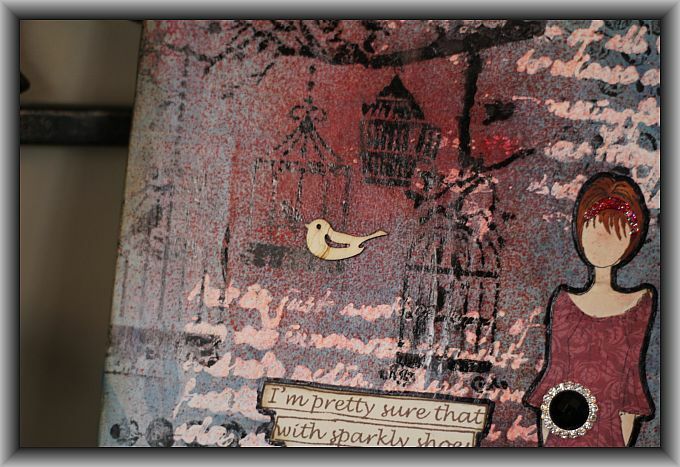 These stamps are perfect for mixed media projects. 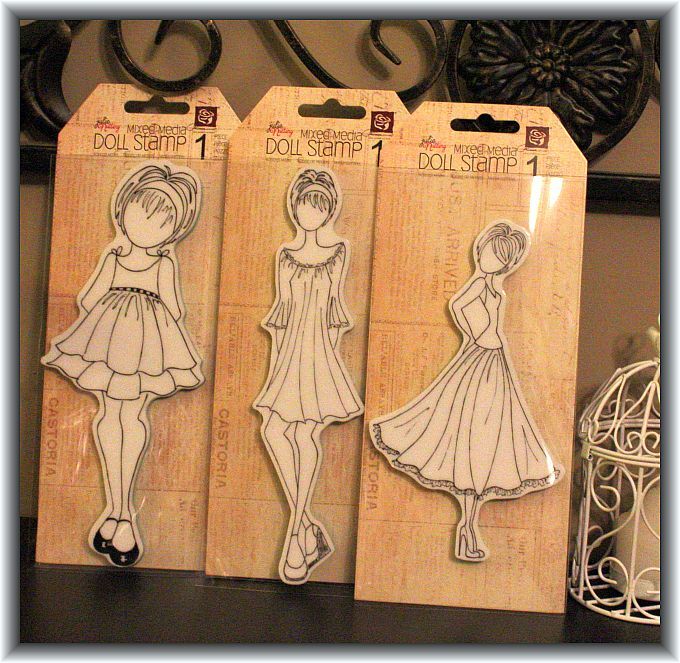 I stamped her twice, first on cream card stock and then again on some design paper and paper pieced her dress. 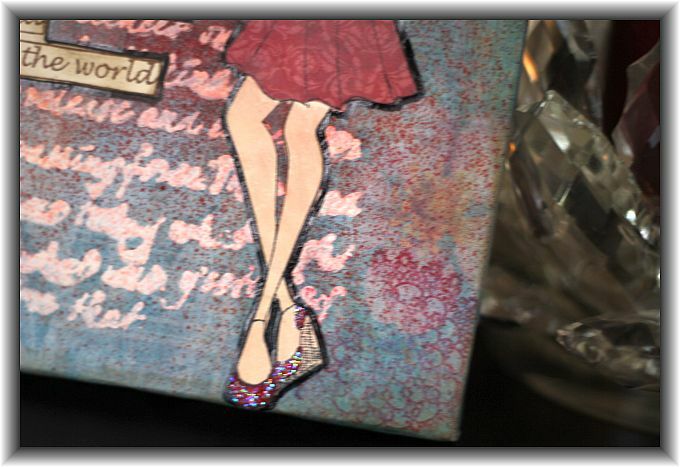 Prima….. How I love everything Prima! Check out these beautiful Prima stamps I scored at The Cutting Garden today…. Amazing huh? I picked up these three but Kim brought in 6 or 7 different stamps and they arrived today! I had to reign myself in because she also brought in some new Martha Stewart punches that I just couldn’t resist. I can’t wait to start playing with these! Good Morning! Happy Friday!!! 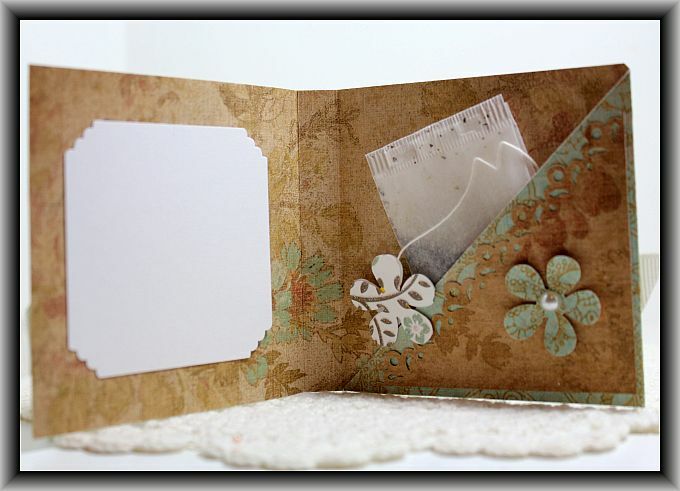 I pulled out one of my favorite Martha Stewart Punch Around the Page set of punches to make this pretty spring themed card…. I am totally addicted to these punch sets, I feel that I NEED to own them all! I have been wanting to ask Tony to help me develop a new storage solution for all my punches but I am afraid to actually let him see how many I actually own!!! LOL!!! 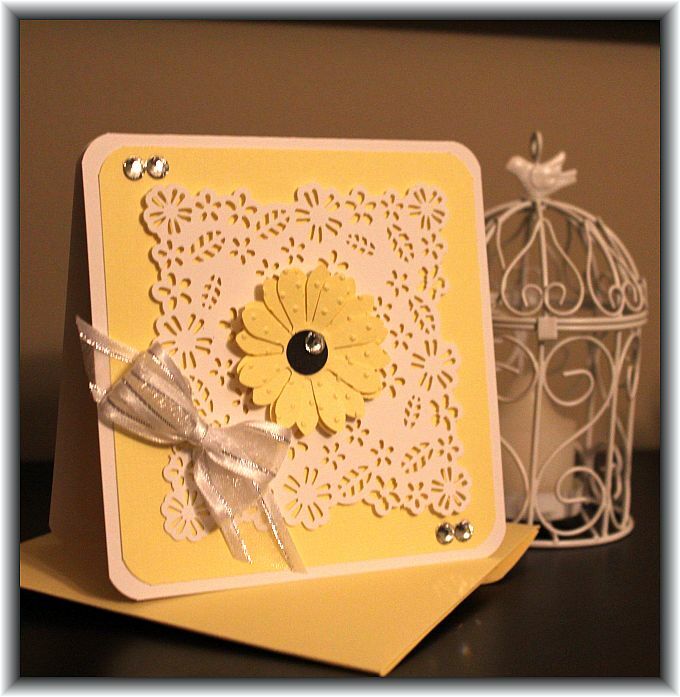 Oh well… I will have to figure out a way to ease him into it 😉 This is just a quick and easy all occasion card I made this past weekend while I was avoiding tidying my craft room.